You can import the arblines which you have exported earlier into Insight. Select the arbline(s) that you want to load and click Open. Convert the Coordinate Reference System (CRS) of the arbline(s) to the project CRS if the arbline(s) has a different CRS (see Converting CRS when Importing an Arbline). The imported arbline(s) will be displayed in the Map View. 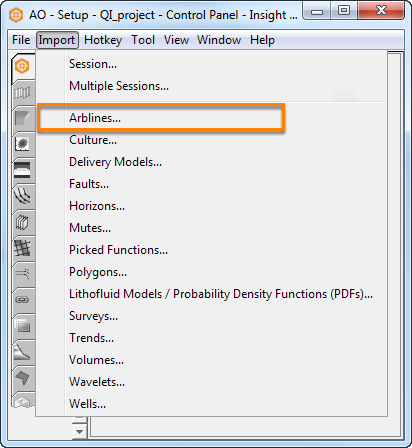 In addition to importing the arblines, you can also search for arblines that are saved in the project database and add them to the current session (see Loading Items in Project).